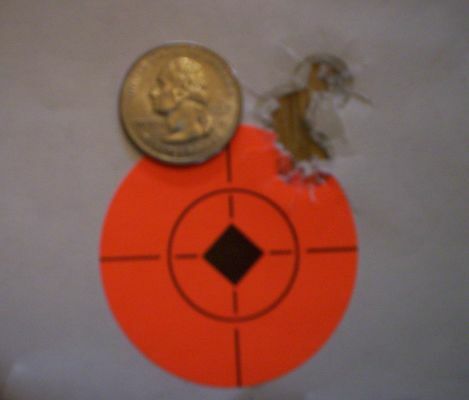 ﻿ HuntingNut » Forums » Hunting » Big Game Hunting » Rifle use in Michigans Lower!!!!???? Rifle use in Michigans Lower!!!!???? Posted: Sat Apr 04, 2009 3:02 pm Post subject: Rifle use in Michigans Lower!!!!???? I have heard a rumor at the local gunshop that Michigan is planing on letting Michigan hunters in the lower part of the state use carbines in magnum pistol calibers only for deer hunting. I heard Indiana has done this and Hope Michigan does as well. The little Winchester Trapper 44 mag I have has collected deer in the UP, I would love to turn her loose down here. She is deadly out to 100yds, maybe more with a scope. But scopes dont belong on trappers/carbines. Anyone here heard this or am I just hearing stupid rumors??? I have also heard they are gonna let us hunt with cross bows now as well!! Posted: Sat Apr 04, 2009 8:48 pm Post subject: Re: Rifle use in Michigans Lower!!!!???? I hope it's true. Although my old stompin grounds are just above the rifle/shotgun line, I'd like to see that happen. I've heard the same kind of rumors down here in the southern part of Ohio as well. Let's all keep our fingers crossed. Posted: Mon Jan 18, 2010 7:21 pm Post subject: Re: Rifle use in Michigans Lower!!!!???? I have heard a rumor athat Michigan is planing on letting Michigan hunters in the lower part of the state use carbines in magnum pistol calibers only for deer hunting. Well, what was the outcome and did you hunt with a carbine in the lower part of the state? scopes don't belong on trappers/carbines. I really like scout scopes and red dot scopes mounted over the barrel. You might want to try one of them. Posted: Mon Jan 18, 2010 9:06 pm Post subject: Re: Rifle use in Michigans Lower!!!!???? Nope! No pistol caliber rifle hunting ...we did manage to get cross bow though. Its a start. Posted: Mon Jan 18, 2010 9:23 pm Post subject: Re: Rifle use in Michigans Lower!!!!???? we did manage to get cross bow though. PSE makes a crossbow upper for an AR but they want $1300 for it! I guess it has a very long reach and you need to shoot it at longer ranges just so you don't robin hood your arrows and ruin them. It shoots a 425 grain "bolt" at 400 fps compared to 100 gr arrow at 300 fps for a normal crossbow. Now that I've looked at the numbers, that is a significant difference. Did you get a crossbow? Posted: Tue Jan 19, 2010 12:09 am Post subject: Re: Rifle use in Michigans Lower!!!!???? Please fill in this kiwi boy. Whats wrong with a rifled 12ga??? Posted: Tue Jan 19, 2010 10:00 am Post subject: Re: Rifle use in Michigans Lower!!!!???? Elvis? Are you fond of recoil? I aint. And most Ive seen are crap for accuracy. 12 gauge sabot ammo is EXPENSIVE! 5 rounds running between $15.00 and up. Shoot! for $15.00 I can reload alot more than 5 44 magnum's. Thats just the way I see it. And besides, a 12 gauge slug gun on white tail deer is like hunting grass hoppers with a howitzer! Posted: Tue Jan 19, 2010 11:20 am Post subject: Re: Rifle use in Michigans Lower!!!!???? What's wrong with hunting grasshoppers with a howitzer?!?!? One of my Grandfathers was from the UP of MI. When I bought my first .45-70 he said "That will shoot clean through a deer and set the woods on fire on the other side!" Posted: Tue Jan 19, 2010 6:01 pm Post subject: Re: Rifle use in Michigans Lower!!!!???? And most Ive seen are crap for accuracy. That statement could start a whole lot of arguing in some circles !!! Posted: Tue Jan 19, 2010 6:02 pm Post subject: Re: Rifle use in Michigans Lower!!!!???? ok so the ammo is expensive but lets face it. if its accurate and from what ive seen saboted stuff is, whats $3 a deer or $30 for that matter??? I bet most of us spend a heck of alot more on gas to get where we are going each week. and a couple of good rounds should do the biz and any finishing shots dont need sabots. the pine forests here have seen shotgun only for years and most fellas get there animal. those HnR trappers in 12ga rifled barrel config are nice to carry and dont boot much. a good recoil pad goes along way to taming recoil. the issue of bullet damage is probably not that huge as BIG slow slugs dont bruise much but sure let alot of daylight in. my early pighunting days were done with a single barrel 12ga smoothbore and it sure did the biz. Posted: Tue Jan 19, 2010 6:11 pm Post subject: Re: Rifle use in Michigans Lower!!!!???? Posted: Tue Jan 19, 2010 8:26 pm Post subject: Re: Rifle use in Michigans Lower!!!!???? thankyou Joe. thats going to be a VERY dead deer. Posted: Tue Jan 19, 2010 10:25 pm Post subject: Re: Rifle use in Michigans Lower!!!!???? Are you fond of recoil? Even a 20 gauge slug gun has some recoil. I had to add a recoil pad to my 20 gauge to stop the bruising on the shoulder. But its less recoil than a 12 gauge but still plenty of knock-down power to do the job. First time I fired a 12 gauge slug, it knocked my glasses clean off my face. Posted: Tue Jan 19, 2010 10:26 pm Post subject: Re: Rifle use in Michigans Lower!!!!???? There are rifles that don't do that well. Posted: Wed Jan 20, 2010 12:36 pm Post subject: Re: Rifle use in Michigans Lower!!!!???? And it looks like I have started something dont it?